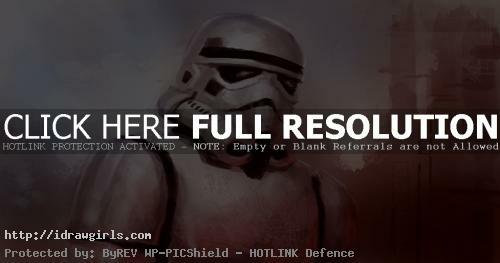 The Imperial Stormtroopers AKA Stormtroopers are fictional soldiers from George Lucas’ Star Wars universe. Stormtroopers are the soldiers of the imperial army under the leadership of the evil Sith Lord and Emperor Palpatine and his commanders, most notably Darth Vader and Grand Moff Tarkin. 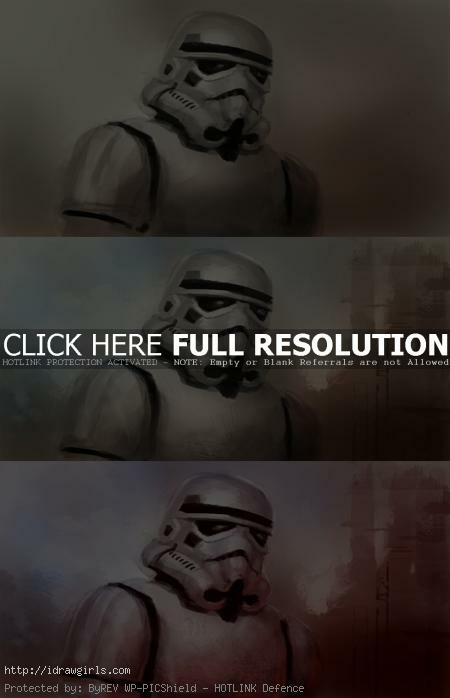 Watch the video tutorial how to draw and paint Stormtrooper. 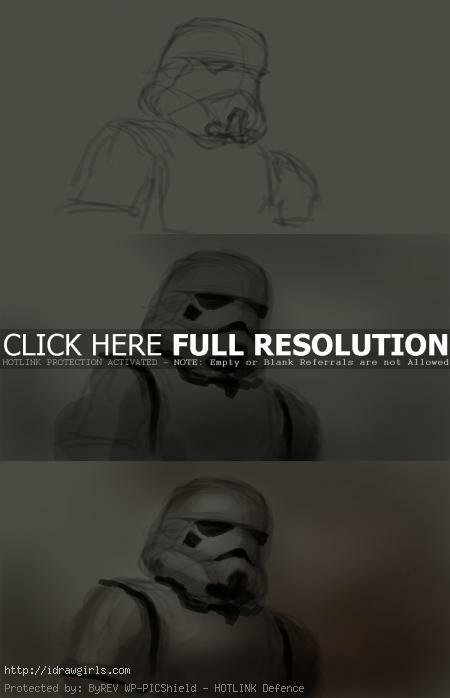 Below are step by step how to draw and paint Stormtrooper from Starwars. So first I just draw a very loose shape of what looks like a Stormtrooper. When you draw, don’t be intimidate by all the overwhelming detail otherwise you won’t start. The secret is to look at the subject then simplify it. You have to be able to see them in simple geometry shapes, then you will find out how easy it is to draw everything. When you look at the helmet go for the big prominent shape first like what you see on the first step below. After that, I will fill mid tone value into the shape, still very loose. Also I will look for what jumps out, in this case the color black that contrast and really identify the shapes. In step three, I add some color after the monochrome set up from the first two steps. Then from here on, I just try to get the rendering and make the painting looks more three dimensional. You have to also define edges and play with cool and warm. In step six, I decide to change the color scheme to make it more red rather than sepia. When I have more red hue in the scene, it is a lot easier to paint under lighting. Done!